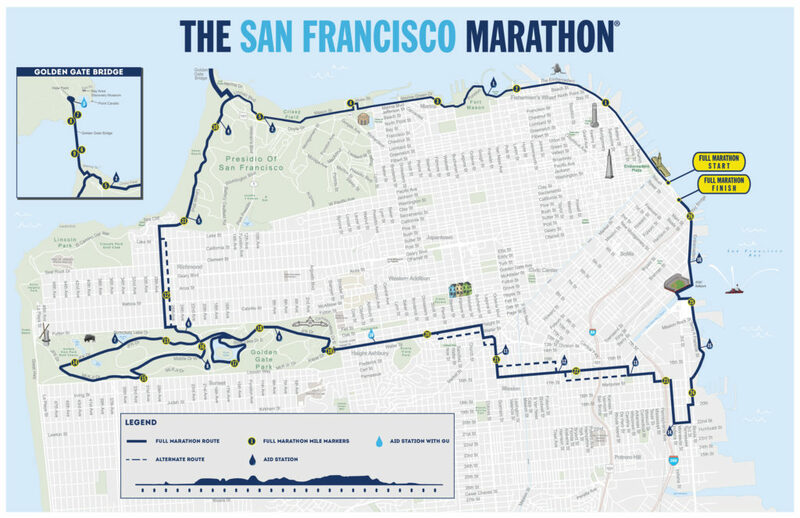 The San Francisco Radio Club has been invited to (again) manage the Communications Team for the 2017 San Francisco Marathon, and we will appreciate your assistance this year. We appreciate and thank you for your previous participation as a member of the San Francisco Radio Club Communications Team, whether that event was the San Francisco Marathon, Walk MS, the UMDF Energy for Life Walkathon, or Brain Tumor Walk. Your generosity and skill are valued contributions towards the success of these events, and are noted and appreciated by the event organizers and medical personnel, whom we partner with each year. ​We are presently working to finalize details of the event with the event producer, and expect confirmation of these details within the next week. Once these details are finalized we will make station assignments, and provide communications on these and additional details for the event. The 2017 course and Aid/Water Station locations are near identical to 2016. While we are receiving strong interest from licensed amateur radio operators, we welcome additional volunteers. We will appreciate your sharing the call for volunteers through your network(s). Please accept our apologies if this is a redundant request, or you previously indicated your participation preference.